Traditional sponsorship promotions such as banners, branded merchandise and product showcases might be the industry standard, but that doesn’t mean they’re necessarily the best options. In fact, these standby strategies often fail to bring in the revenue businesses want, largely because they ignore opportunities for engaging, meaningful customer interactions. And in an era where consumers want to connect with the brands they do business with, this is important: Seventy percent of consumers that interact with a brand and purchase at an event become repeat customers, according to Event Marketer’s EventTrack 2015 survey. To start creating better sponsorships, communicate your goals clearly within your organization. What do you want to achieve? Do you want more engaged attendees or more industry support in general? If your goals aren’t specific, measurable, and objective, you’ll have trouble knowing whether your sponsorship is effective. Freebies are always enticing for attendees. The EventTrack 2015 survey found that 81% of consumers are more likely to participate in an event if there are free samples or other giveaways. 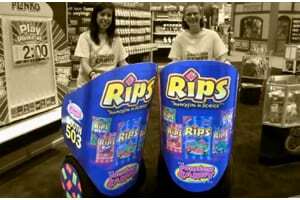 The Foreign Candy Company took this tactic to another level when it handed out samples while two staff members rode around the booth area in decked-out Segways at the 2013 Sweet & Snacks Expo. Research shows that people naturally remember things they do much more than things they see, so give your audience the opportunity to do something, either with your company or with other participants, as a part of your promotion. When Delta Air Lines wanted to connect to more young professionals in its new Innovation Class at the TED conference in Vancouver, it decided to use participants’ online information to pair them up with likeminded individuals. As a result, the experience became more than a sponsorship — it turned into a meaningful, personalized relationship for each attendee. The Golf Industry Show, which will be hosted in San Diego in 2016, helps attendees position themselves as thought leaders through its “Answers on the Hour” promotion. 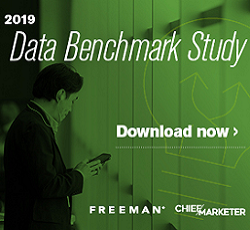 This interactive promotion gives businesses 30 uninterrupted minutes to be the sole source of information on a particular topic, driving attendees to booths to get more information and meet the people directing the industry conversation. David Saef is the executive vice president of MarketWorks and strategy at GES.